Under the copyright law, the creator of the original work is known as its author. U.S. Copyright law provides authors the exclusive right to reproduce, distribute, perform, display, and prepare derivative works of their original expression in a tangible medium. 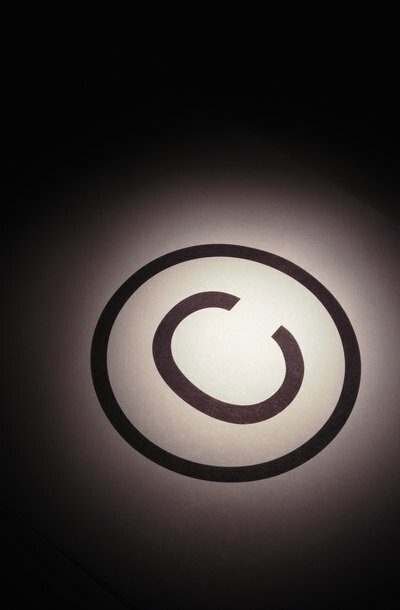 The fair use doctrine limits these rights, and acknowledges that in certain cases, the needs of the public outweigh the copyright owner’s rights. Fair use allows for certain uses of copyrighted work without license or payment to the copyright holder. Section 107 of the U.S. Copyright Act lists four factors courts must weigh in deciding whether a use is fair. Copyright infringement occurs when someone reproduces, distributes, performs, publicly displays, or makes a derivative of a work without the copyright owner's permission. Fair use is an affirmative defense to copyright infringement. A copyright holder may sue someone for infringement of his copyright. Provided the copyright holder proves infringement is likely, the alleged infringer may raise the defense of fair use. The defendant has the burden of proof on all elements of the defense, and must address the purpose of his use, the nature of the copyrighted work used, the amount of the copyrighted work he copied, and the market effect of his usage. If the defendant successfully proves his use was fair, the court will rule no infringement has occurred. Defendants of a copyright infringement must first explain the character and purpose of their use of the copyrighted work. Courts are more likely to consider a use fair if that use was for an educational purpose, such as copying materials for research purposes or showing a film in a classroom. Courts are less likely to consider a use fair if the copyrighted work was used for commercial or entertainment reasons. Using a copyrighted work to provide commentary or criticism of that work is also usually considered fair use. Further, defendants of infringement must address the nature of the copyrighted work they used. Courts are more apt to find the use was fair if the copyrighted work is less creative, and deals with facts rather than fiction. A copyrighted work that has not yet been published is more stringently protected against fair use than one that has already been published. Courts reason authors have the right to determine when and how their work should be published in the first instance. Defendants of copyright infringement must also note the amount of the copyrighted work they used. How much of the copyrighted work was used is a qualitative and quantitative analysis. Quantitatively, fair use of a work generally entails using as little of the copyrighted work as possible for the user to achieve her purpose. Qualitatively, courts are less likely to consider a use fair if the piece taken from the copyrighted work, no matter how small, represents the very heart of the work. Finally, defendants should demonstrate what effect their use had, or potentially will have, on the market for the original copyrighted work. Courts are more likely to consider a use fair if the defendant can prove his usage had, or potentially will have, little to no negative value on the public’s demand for the copyrighted work. Courts also analyze access to the work; use is more likely to be considered fair if there is restricted access, as opposed to the work being offered without limitation to the general public. Fair use is most often found in cases where the purpose was for critique or parody. Critique demands portions of a work be copied, perhaps even the heart of it, for a critique to be effective. Similarly, a successful parody of a work demands large portions of that work be copied. If these uses have any effect on the demand for the original work, they tend to increase rather than decrease demand for the original work. Courts also reason most copyright holders would not provide permission for their work to be used in these ways. Stanford University Libraries: Copyright & Fair Use: What is Fair Use?